Sign up for Broadjam today to follow Brian Meyers, and be notified when they upload new stuff or update their news! 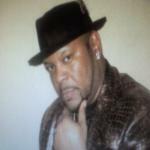 I'm a R&B/Pop vocalist born and raised through Jazz (my father Dickey Meyers). I also like some Rock such as Creed, Maroon 5, and The Romantics. I'm currently working on my 2nd CD and hope to have it out by next summer (2013).